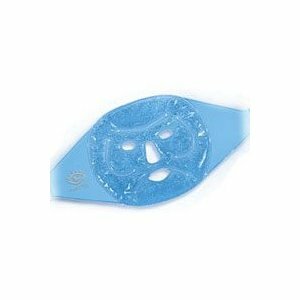 favorite face mask CO2Lift by Lumisque. There is a reason this mask is taking over instagram feeds and blogger posts. It is designed for the face, neck, and hands. This mask is extremely gentle but gives major results. It uses state of the art treatment that is clinically proven to lift, hydrate, and rejuvenate. You mix the contents and apply all over your face, even under your eyes, and on your lids. It turns to a gel/rubber like substance that easily peels off. If you want to invest in your antiaging skincare game, this is a great place to start. So lift your skincare game with CO2Lift, and lift your standards while you’re at it…. I HOOKED UP WITH A MODEL…. When used hot it relieves tension headaches and nasal congestion. Caffeine helps detoxify the tissues, thus reducing local fat deposits and puffiness. Carrageenan or red alga has soothing, moisturizing, restructuring properties. Caprylyl glycol is an “osmotic active” which has physical anti-microbial properties related to its capacity for absorption. (There are also anti-microbial properties that fight against acne skin). The Swiss Glacial Water is from the glacier of the Diablerets in the Swiss Pre-Alps. Eyebright extract soothes the skin, prevents irritation, and tones the epidermis.